Sometimes you just need a day trip. 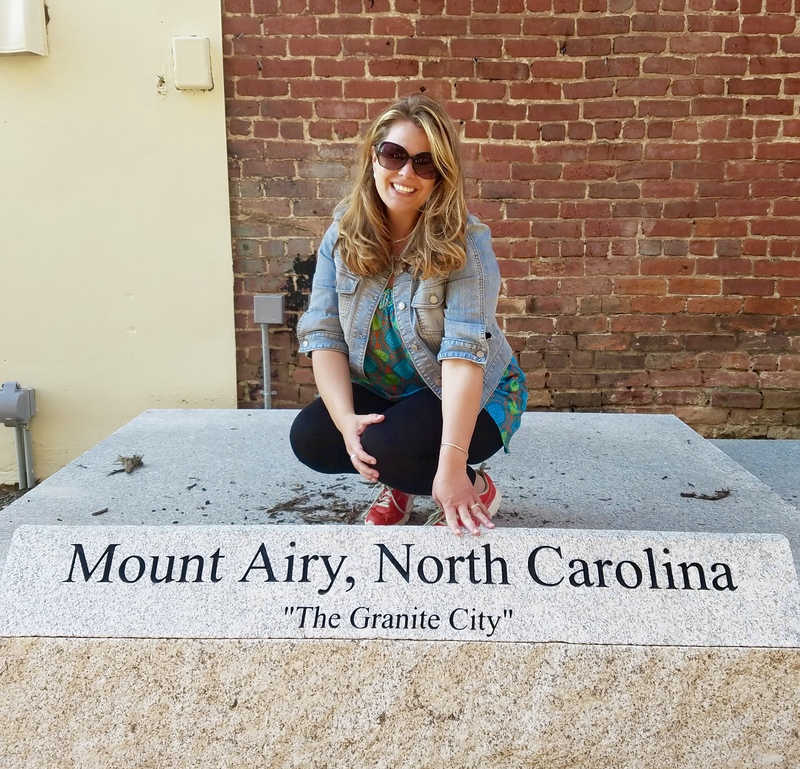 Mount Airy, North Carolina is the perfect place for one. 2- Take a Tour With Squad Car Tours. After visiting Andy’s courthouse, walk over to Wally’s Service Station and sign up for a tour in a squad car. 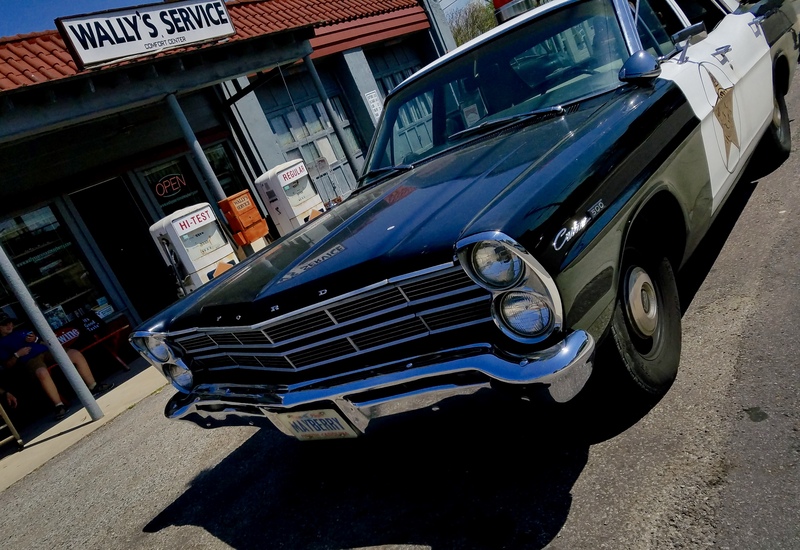 From the first moment we pulled from the parking lot with a quick ring of the siren to the moment you return to Wally’s Service Station, the tour guide has you riveted to stories from the past. We learned some fun facts about Andy Griffith and drove past his childhood church and his childhood home but, the tour didn’t end there. We rode to the site of the largest open faced granite quarry in the world, The North Carolina Granite Quarry. How cool is that?!?!?! 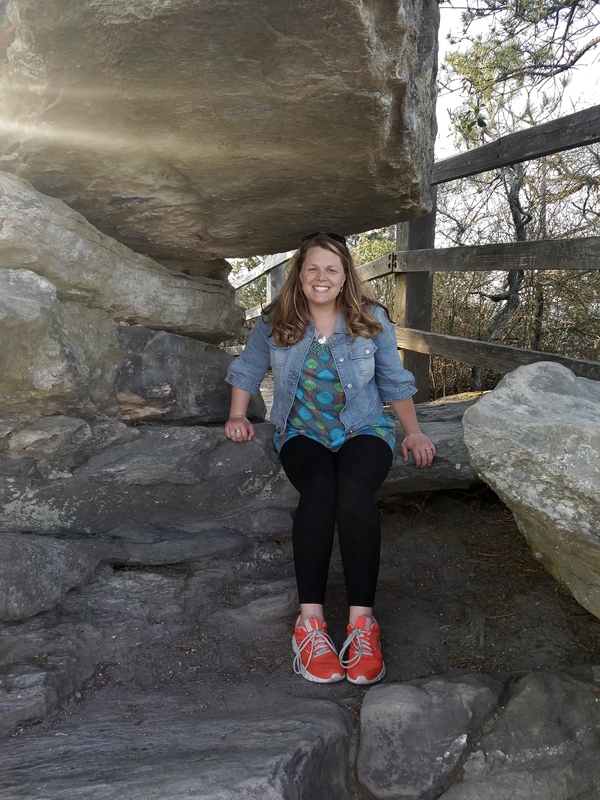 The quarry operates about 90 acres producing white, spotted, and grey granite which is sold all over the world to make bridges, statues, buildings, paving stones, curbing, and much more. We also learned about Eng and Chang from Siam who settled in the area to farm. The famous conjoined twins married and had 21 children between them. Strange. Good for them, but it’s still strange. We also learned about Donna Fargo, another local who made it big. She made her mark on the country music industry with the 70’s hit song, “Funny Face.” The tour also gave us a chance to see all of the churches, buildings, and homes made from the local granite. A walk downtown is a must. 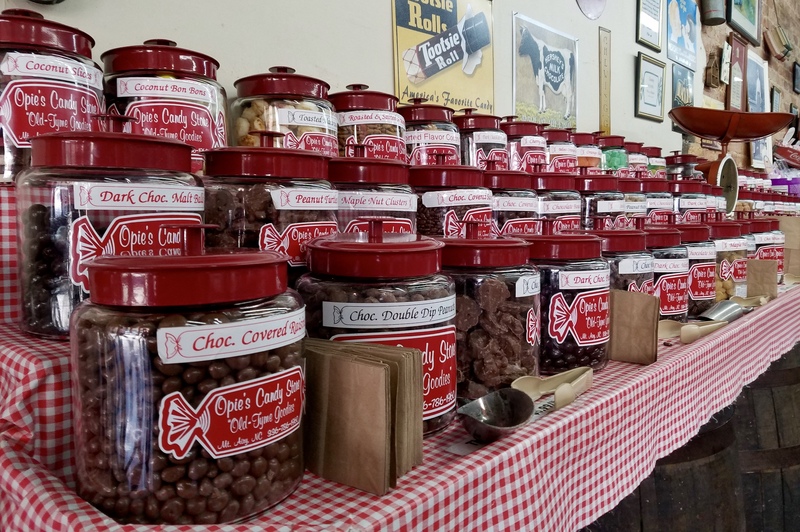 There are plenty of shops to visit including; a combined coffee shop and bookstore (I could get lost in a store like that), an Antiques store, Opie’s Candy Store, Floyd’s Barber Shop, and plenty more. While downtown you might want to grab a bite to eat at Snappy’s or Walker’s. I have to tell you that if you want to eat at Snappy’s you need to get there pretty early. They were already closed for the day when we got there and it was only about 2. We ate at Walker’s. I totally drooled over the milkshakes being served. 4- Visit a Museum; The Andy Griffith Museum or The Mount Airy Museum of Regional History. We visited The Mount Airy Museum of Regional History. 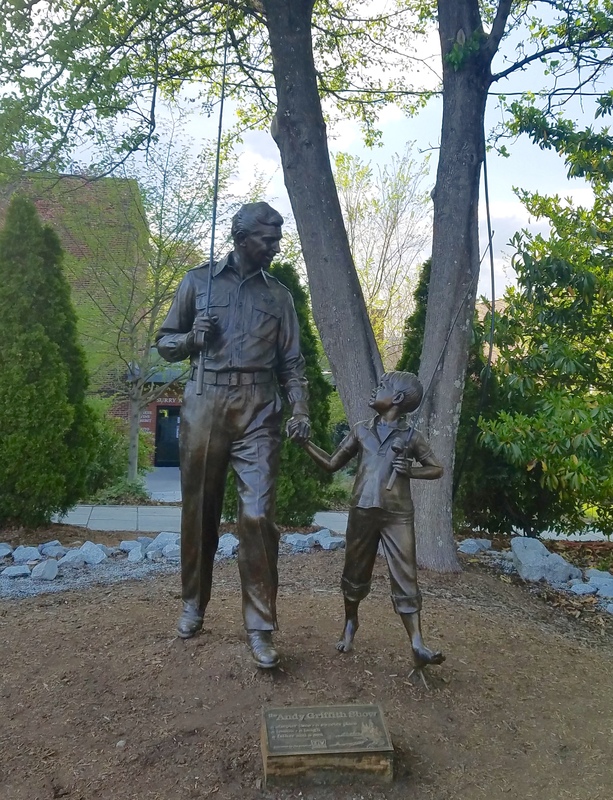 However, we still had to drive by the Andy Griffith Museum to get a picture of the TV Land Andy Griffith Statue that is located between the museum and the Andy Griffith Playhouse. 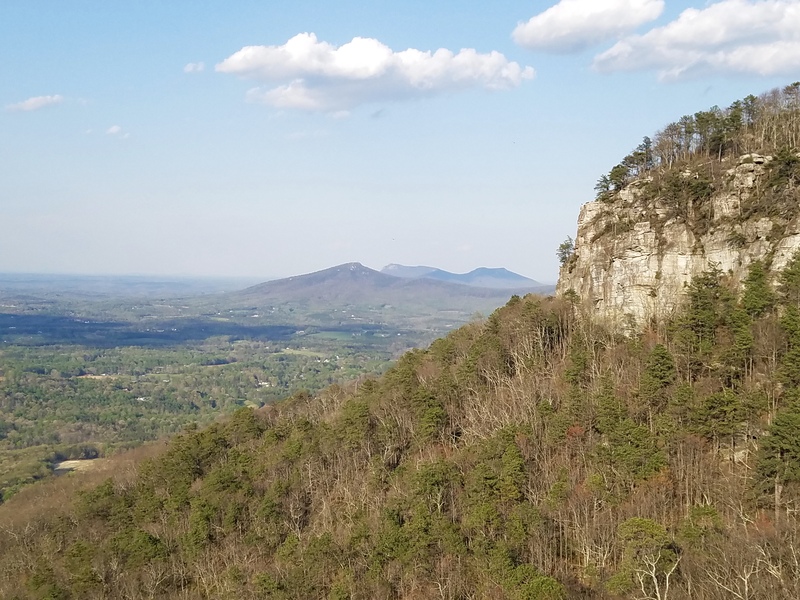 Pilot Mountain is the perfect mountain to visit, because there is NO hiking involved! You just drive right up to the parking lot and walk a small distance to the overlook. It’s fabulous! So, Thelmas, grab your Louise and have an adventure! 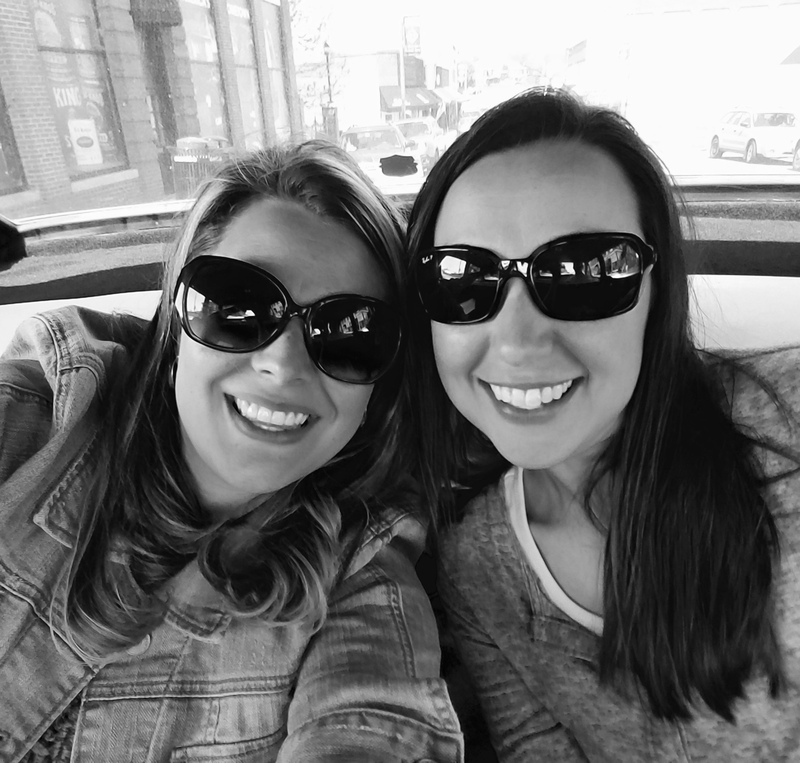 Who knows where you’ll end up….maybe in the back of a squad car! Thank you, Wylie! I do hope you get a chance to drive back up there – it’s such a neat place! I drive by Pilot Mountain so often heading to West Virginia and never stop, I will have to stop on my next trip up! Please do – it’s such a beautiful view! Love it!!! Thanks for being my Thelma!! Where to next? Thanks, Louise! I have a long list of places to go!! !